For many years, in Cork, Cloyne and Ross, ‘The Bishop’s Course in Theology’ met the needs of a large number of adults learners in the Diocese. Now, following a lull in the delivery of that course, and as a response to both the Bishop’s Visitation of the Diocese in 2016, and the on-going programme Charting a Future with Confidence a new opportunity has been launched for adult learners in Cork, Cloyne and Ross. A group of people, many of them involved in delivery of ‘The Bishop’s Course’ have been working with the Bishop, Dr Paul Colton, since early 2017. On Tuesday last, the Bishop published the details of the new course which will be the Certificate in Christian Studies from St Patrick’s College, Maynooth, delivered locally in Cork, Cloyne and Ross. Learning, including learning about the faith, is a lifelong process. There is great interest in and demand for a course like this. I am most grateful to my colleague, Bishop Michael Burrowes, in Cashel, Ferns and Ossory, and also the Very Reverend Tom Gordon, Dean of Leighlin, for pioneering and developing this course in that Diocese. It has been very popular and transformative there, and I am thrilled that, through their good offices, with the approval and support of Saint Patrick’s College, Maynooth, we can now offer the same course here. 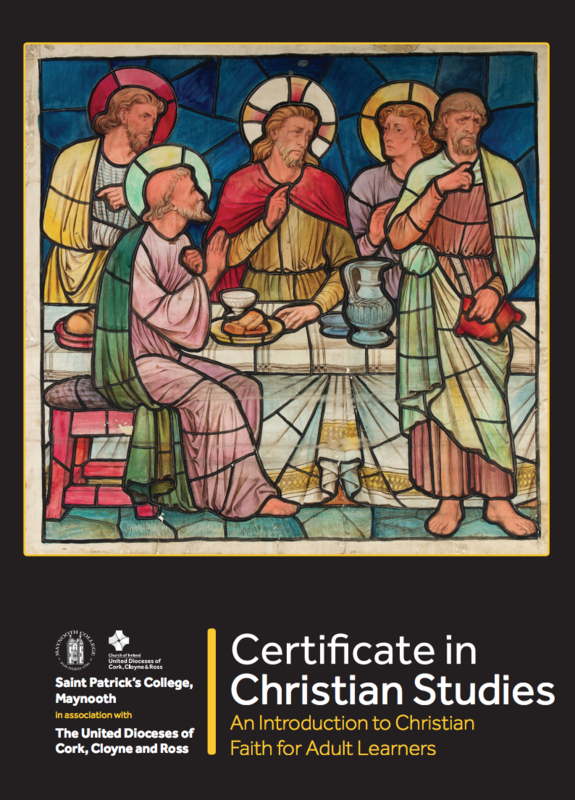 The Certificate in Christian Studies is a level 7 certificate course of St Patrick’s College, Maynooth. It is a part-time course for all who wish to explore the Christian faith. The programme provides a structured introduction to: scripture, theology, church history, ethics, liturgy, and ministry. The centre (but not exclusively) for the local delivery of the course in Cork, Cloyne and Ross will be Northridge House Education and Research Centre of Saint Luke’s Charity, Cork. The formal launch and first module of the course will be on Saturday, 28th April. The deadline for completed applications for the course is Wednesday, 21st March 2018. Full details are available from parishes, chaplaincies and the Diocesan Office. This entry was posted in Announcements, Bishop, Continuing Ministerial Education, Diocese, Education, Launch, Northridge House Education and Research Centre and tagged Adult Learning, Certificate in Christian Studies. Bookmark the permalink.